Israel's Innovation Authority (IIA) has published a tender on Monday scouting for coworking spaces in Tel Aviv, northern port city Haifa, and Be’er Sheva, in Israel’s southern Negev Desert. 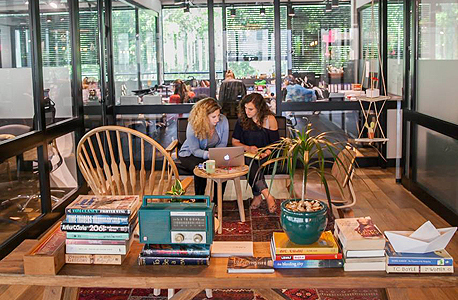 The selected coworking spaces will serve as local branches of the IIA, which is legally obliged to move its headquarters to Jerusalem by March of next year. The desired coworking locations, according to the tender, are near to public transportation hubs and parking garages. In addition to wifi, video equipment, and printing services, to meet the IIA’s requirements the offices must have a lounge and kitchenette on premise and offer hot and soft beverages and cookies. According to the tender, the IIA is looking to lease 10 offices, 20 hot desks, and two conference rooms in Tel Aviv, as well as two offices and a conference room in both Haifa and Be’er Sheva. The leases are scheduled to start in February of 2019. Restructured in 2016 from the now defunct Office of the Chief Scientist, the IIA functions as the government's tech investment arm, running and supporting incubator programs, facilitating international partnerships, and encouraging knowledge transfer between academic and commercial research and development ventures. The authority’s annual budget stands at $440 million (NIS 1.6 billion).